The battle for best seven-seat SUV is set to become a full-blown war, with Chevrolet announcing a thoroughly revised, new Trailblazer SUV, which includes a 2.5-litre automatic, improved technology and in-car connectivity, and advanced new safety features. What used to be a market dominated almost solely by the Toyota Fortuner is fast becoming a crowded segment, with all major players looking to increase their slice of the pie. The new Toyota Fortuner which was introduced recently looks set to retain its crown as market leader, but with Ford launching a new assault – 5 new Everest models which will be built locally and offer a wider range of trim level and engine choice for buyers are on the way – the battle for the best seven-seat SUV is set to continue. 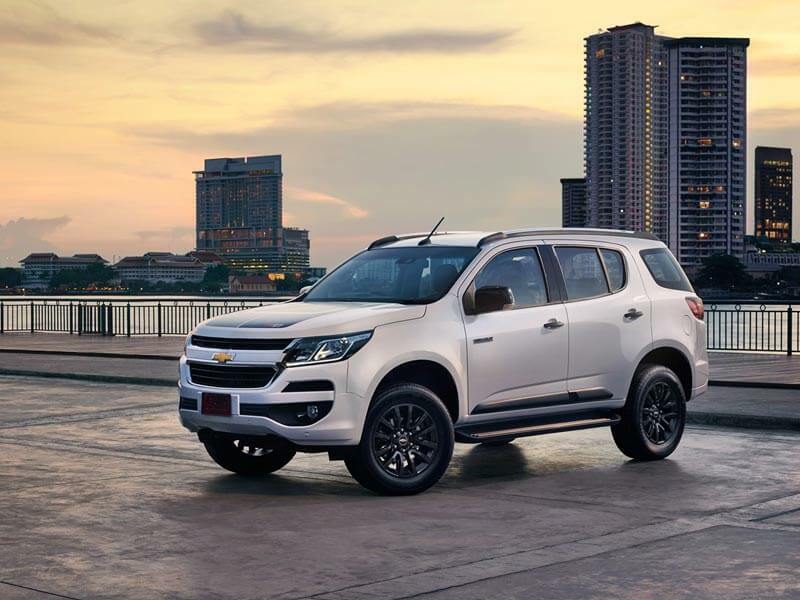 Now, the battle is set to become a full-blown war, with Chevrolet announcing a thoroughly revised, new Trailblazer SUV, which includes a 2.5-litre automatic, improved technology and in-car connectivity, and advanced new safety features. As seen with the recent news that Ford will introduce entry level specification combined with the choice of 4×2 only ability, offering buyers a clear choice is the name of the game and Chevrolet are on trend with the 2017 model year range which now comprises five manual and automatic versions of the rear-wheel-drive 2.5-litre LT, rear and four-wheel drive auto and manual versions of the 2.8 LTZ and a new flagship in the shape of the Z71, which is based on the LTZ 4×4. Importantly, prices now range from R464 000 for the 2.5-litre LT model to R623 200 for the Z71, which pays homage to Chevrolet’s rich ‘Zee’ car performance heritage. 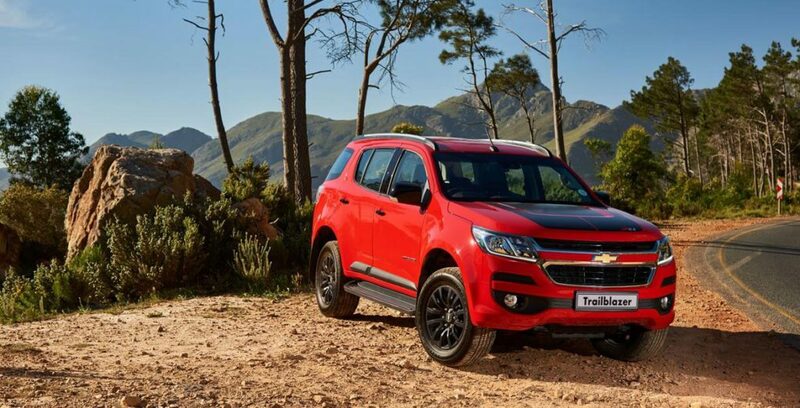 “The new Trailblazer brings together superior levels of refinement, styling, comfort and technology with class-leading performance and drivability to meet the versatile needs of increasingly discerning customers,” said Brian Olson, vice president vehicles sales, service and marketing General Motors Sub-Saharan Africa. Certainly, the styling changes to the new Trailblazer are a welcome addition, particularly if you were hankering after something a little more muscular. Although familiar as we know it, the front end is now far more aggressive with a wider more prominent Chev ‘bowtie’ and grille sections which run full width . LED running lights (on LTZ trim levels) further accentuate the purposeful front end. Wider tyres (255mm width compared to 245 previously) on new 17-inch wheels are fitted to LT derivatives and give it a more purposeful stance, while LTZ versions remain on 18-inch wheels with a glossy black design for the Z71. Tyre size is unchanged at 265/60. 2017 Trailblazer is far more than just a cosmetic update, with most of the changes happening under the hood, and inside. 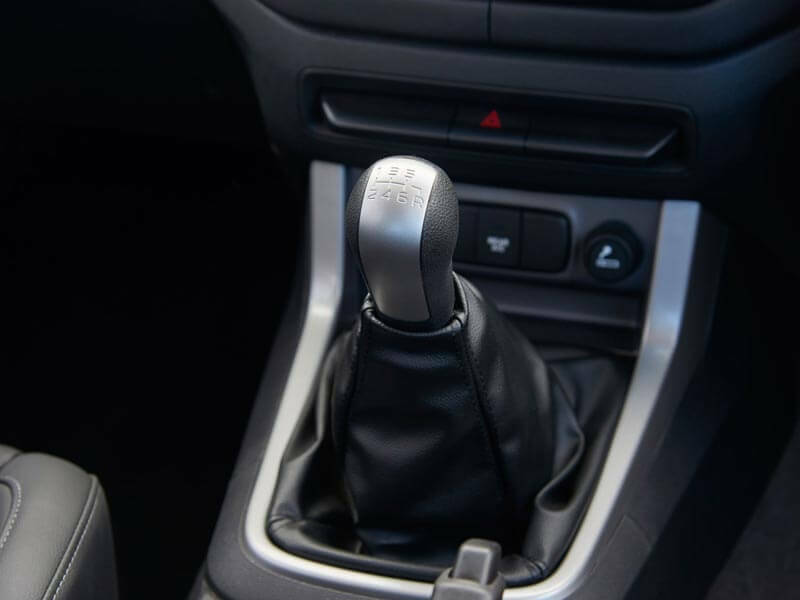 Buyers can now opt for an uprated 2.5-litre turbodiesel engine with a six-speed automatic transmission in the LT trim level. Power is rated at 132kW and maximum torque is pegged at an impressive 440Nm. The familiar 2.5L Duramax four-cylinder turbodiesel (FGT – Fixed Geometry Turbo) engine continues to do duty in the 2.5 LT when matched with the six-speed manual transmission. Power is rated at 120 kW, with 380 Nm of torque ensuring that this ‘lower’ output 2.5-litre is still sure to provide more than adequate performance. 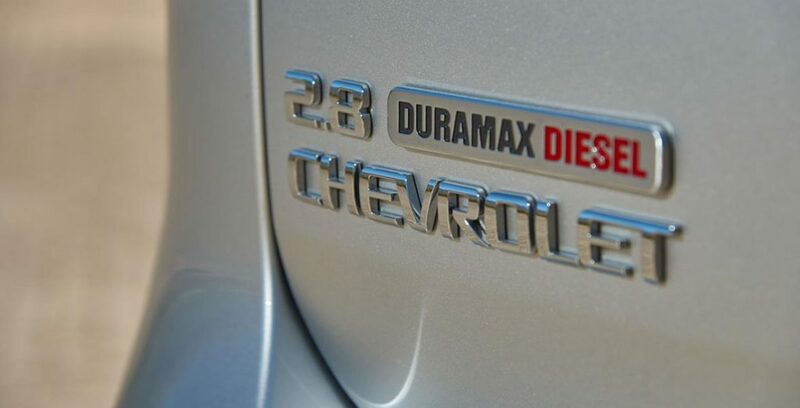 Top of the range models come equipped with the proven 2.8-litre Duramax turbodiesel engine which boasts 144 kW, and a class leading 500 Nm of torque. No other body-on-frame SUV (Fortuner, Everest) on the market can match this proven powerplant when it comes to torque output, which makes tackling even the toughest on-road as well as off-road challenges a walk in the park for the Trailblazer. LTZ models are available with optional four-wheel drive with low range, which is the default set-up on the range-topping Z71 derivative. Changing between the two-high, four-high, and four-low drive modes is just a turn of a dial away making a trip into the bush as easy as ever. Whether you’re on the morning school run or forging your own path off-road, the Trailblazer has all the comfort and convenience features expected from a luxury SUV of this size, including no fewer than five points for charging devices and eight cup holders. A welcome feature and one that is unique to this segment is the provision of adjustable air conditioning for passengers in all three rows, and like the new Ford Everest, fully fold-flat third-row seating allows a great flexibility to carrying bulkier luggage. A notable bug-bear for Toyota Fortuner owners. 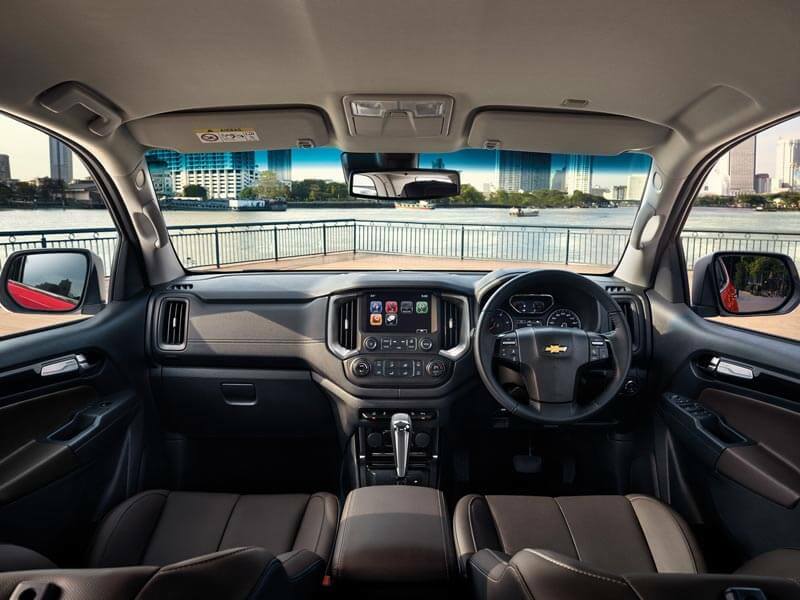 The new Trailblazer offers a more hushed ambience in the cabin thanks to a revised sound-deadening package and a more premium look and feel has been achieved with more widespread use of soft-touch materials and updated satellite controls on the leather-rimmed steering wheel. 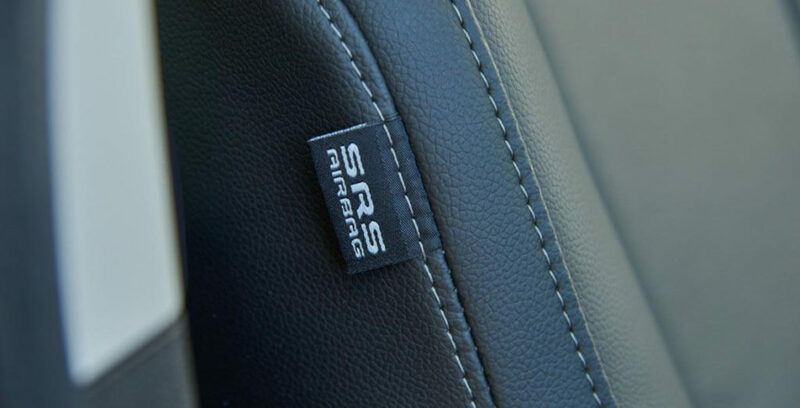 Leather upholstery is fitted as standard irrespective of the model. Another unique feature further setting the Trailblazer apart from the competition is the inclusion of Remote Vehicle Start which allows the vehicle to be started from outside using the buttons on the key fob. 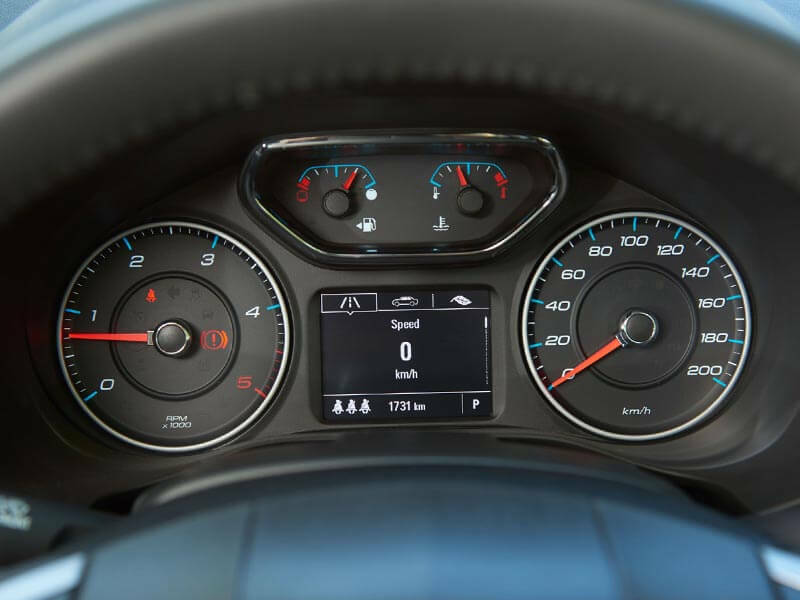 Available on all models fitted with automatic transmissions, this functionality allows for additional driver and passenger comfort by activating the climate control system and rear demister depending on ambient conditions. In this mode, the vehicle remains locked and cannot be driven until the key is inserted into the ignition slot. 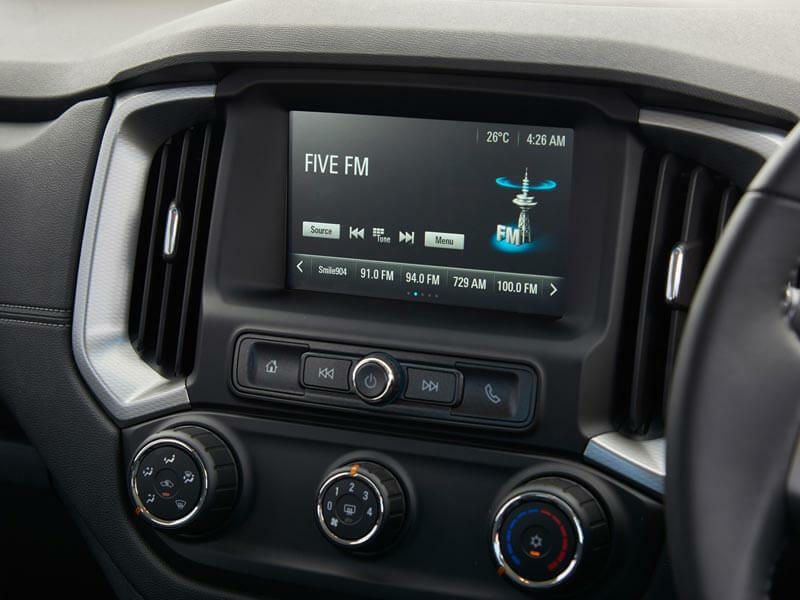 The centrepiece of the Trailblazer’s cabin is the seven-inch touch screen. The second generation MyLink system is now Apple Carplay and Android Auto compatible which will enable consumers to use smartphones and associated applications effortlessly and seamlessly once connected via USB. Normal Bluetooth connectively remains, however, even if the device is not paired in this way. 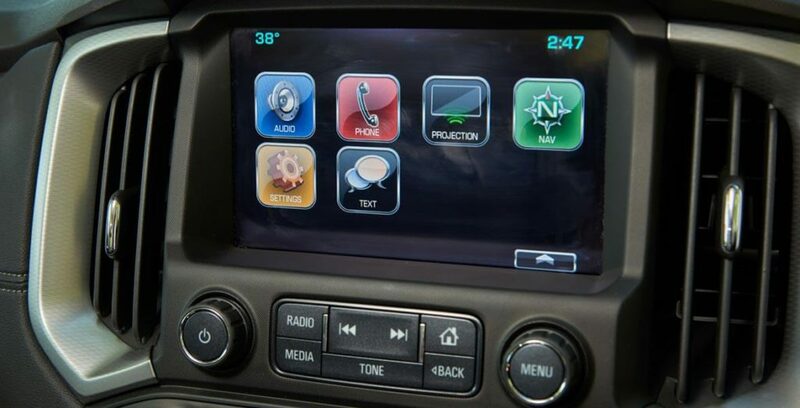 This will mean that on LT versions phone-based navigation systems such as Google Maps can be displayed on the screen, while the LTZ trim level already has a fully integrated satellite navigation system. LTZ models benefit from the addition of Stabilitrak electronic stability/traction control, HDC (Hill Descent Control), and TSC (Trailer Sway Control). A rear mounted camera parking assistance system with cross traffic alert is also fitted. 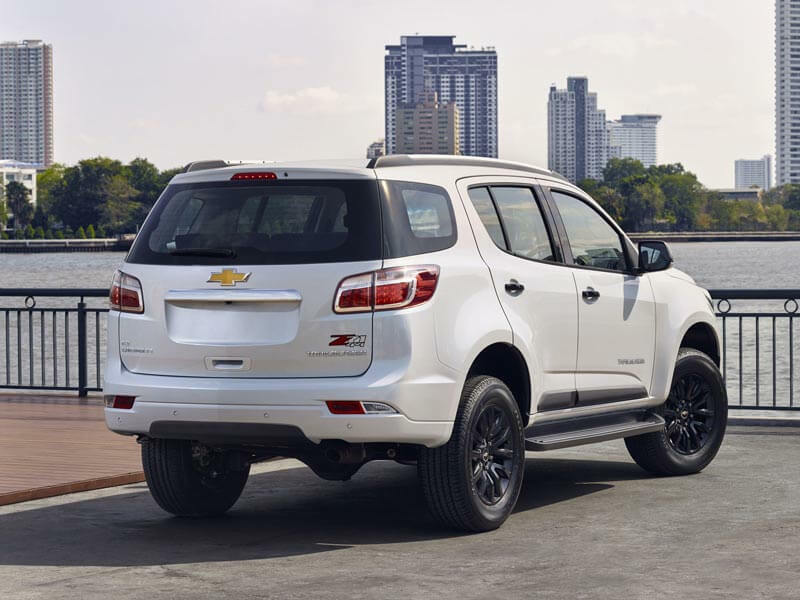 Technology added to LTZ models for the 2017 model year are forward collision alert, lane departure warning, side blind zone alert, rear cross traffic alert and tyre pressure monitoring; giving the 2017 Trailblazer one of the most comprehensive driver aid packages available at this level.